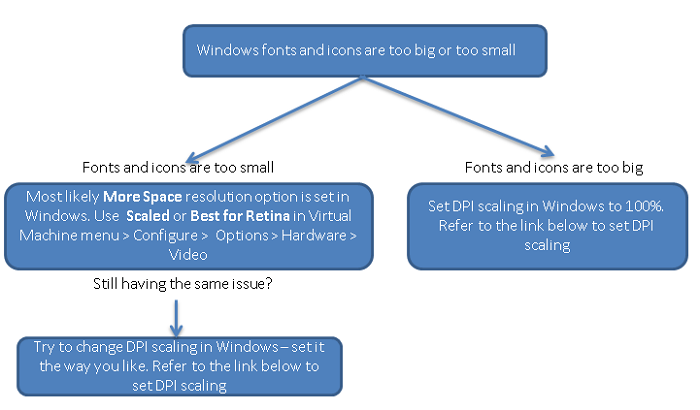 Microsoft Windows is not adapted for such high pixel density (DPI) resolution of the Retina display: Windows virtual machine resolution becomes very high thus everything is too small; Windows picture (fonts, images) are not rendered properly. 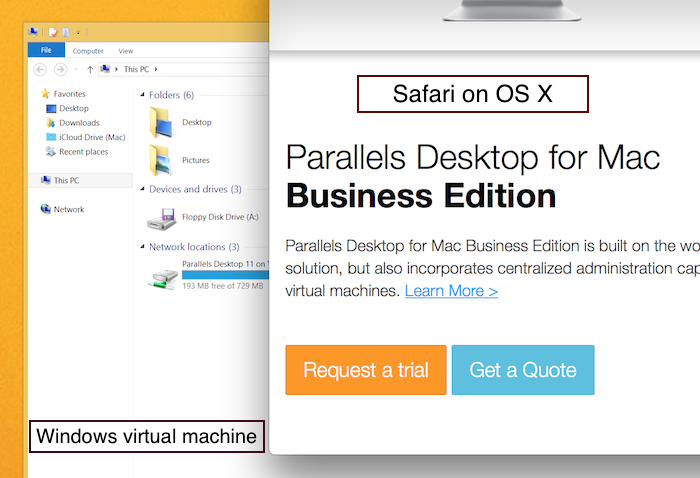 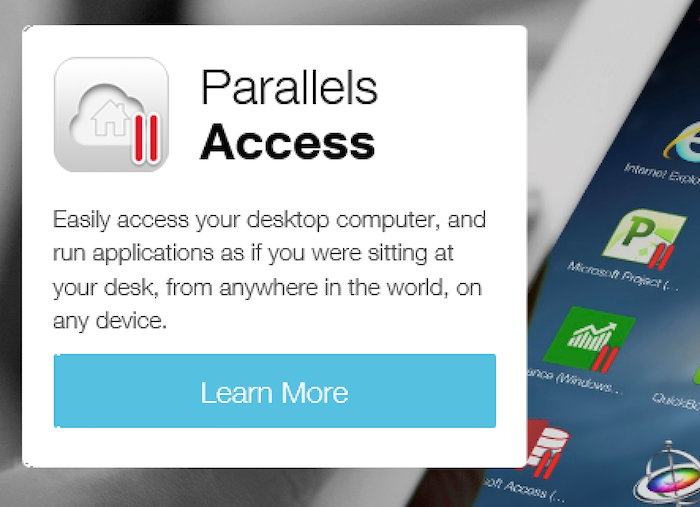 Parallels Desktop provides enhanced Retina display support for Windows virtual machines. 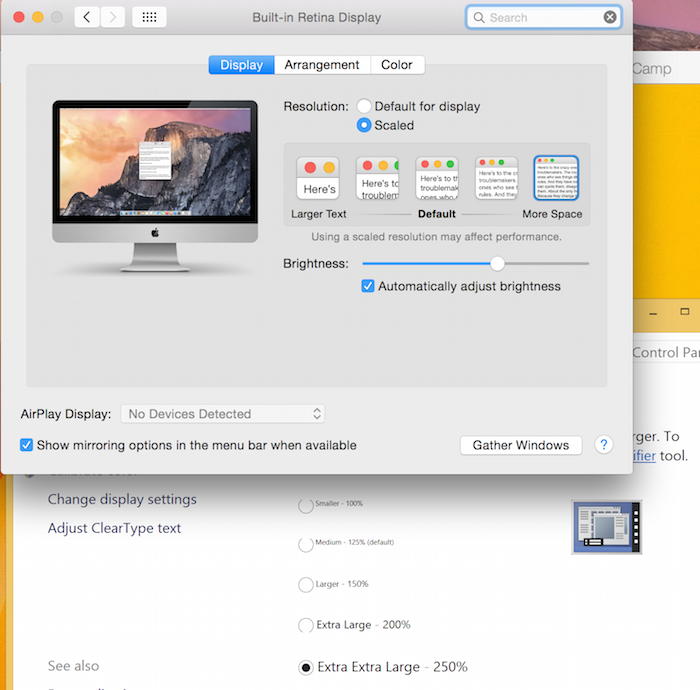 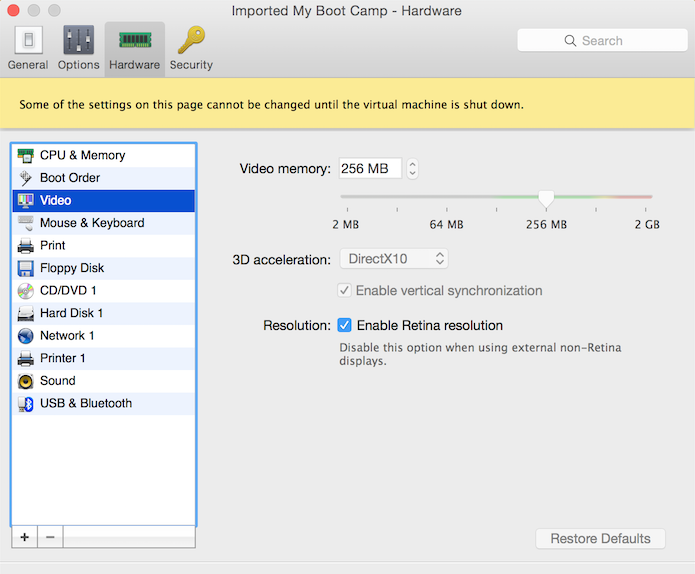 Check Enable Retina resolution option for your virtual machine - Windows will immediately change its resolution, though virtual machine reboot is recommended. 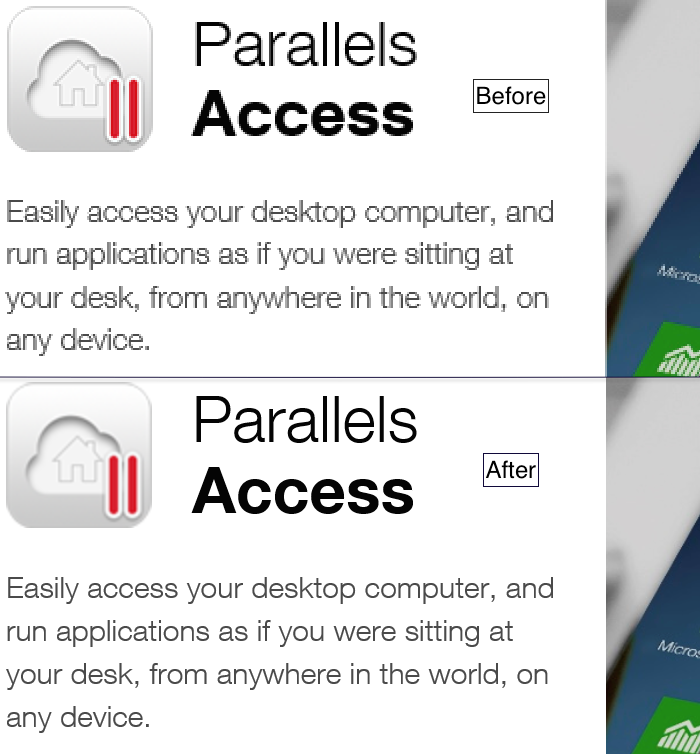 [!] 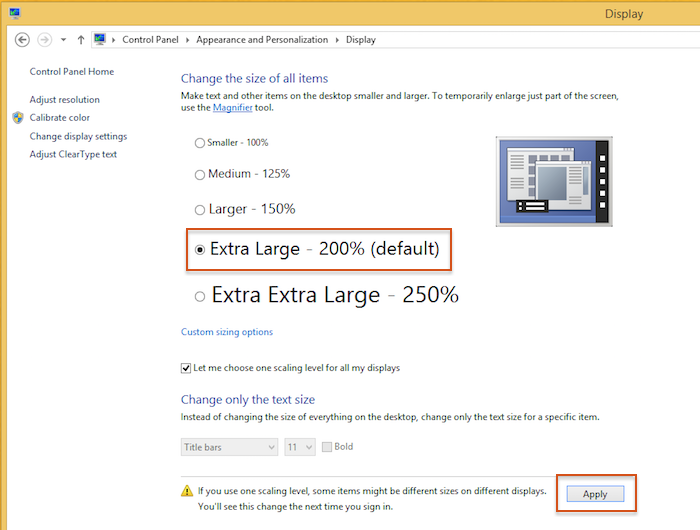 Setting 200% scaling in the virtual machine will also fix small fonts symptom, but if you still experience an issue with small fonts in a particular Windows program, please visit KB119926. 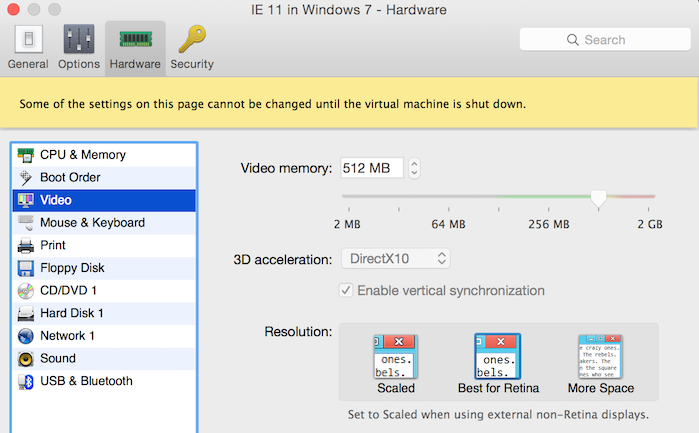 The screenshots are taken from Internet Explorer running in the Windows 8.1 virtual machine.